It has been for long conceived that hallmarks of cancer were intrinsic genetic features driving tumor development, proliferation, and progression, and that targeting such cell-autonomous pathways could be sufficient to achieve therapeutic cancer control. 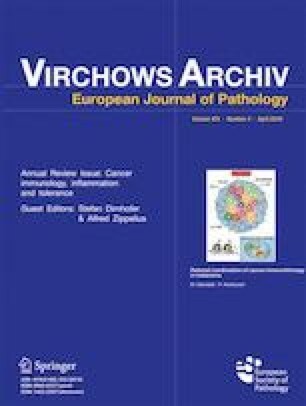 Clinical ex vivo data demonstrated that treatment efficacy often relied on the contribution of host immune responses, hence introducing the concept of tumor microenvironment (TME), namely the existence, along with tumor cells, of non-tumor components that could significantly influence tumor growth and survival. Among the complex network of TME-driving forces, immunity plays a key role and the balance between antitumor and protumor immune responses is a major driver in contrasting or promoting cancer spreading. TME is usually a very immunosuppressed milieu because of a vast array of local alterations contrasting antitumor adaptive immunity, where metabolic changes contribute to cancer dissemination by impairing T cell infiltration and favoring the accrual and activation of regulatory cells. Subcellular structures known as extracellular vesicles then help spreading immunosuppression at systemic levels by distributing genetic and protein tumor repertoire in distant tissues. A major improvement in the knowledge of TME is now pointing the attention back to tumor cells; indeed, recent findings are showing how oncogenic pathways and specific mutations in tumor cells can actually dictate the nature and the function of immune infiltrate. As our information on the reciprocal interactions regulating TME increases, finding a strategy to interfere with TME crosstalk becomes more complex and challenging. Nevertheless, TME interactions represent a promising field for the discovery of novel biomarkers and therapeutic targets for improving treatment efficacy in cancer. The authors are grateful to AIRC (5xMille 12162 to LR, IG-10727 and IG-14285 to LR, IG-17462 to MR; IG-15192 to CC), Cariplo Foundation (2015-0911 to VV), Harry J. Lloyd Charitable Trust for human studies (MR and LR), the European Union’s Horizon 2020 Research and Innovation Programme grant agreement No. 686089 (PRECIOUS), and the Italian Ministry of Health grant 52/RF-2010-2312620 to support all their studies. All the authors contributed in conception and design, writing and discussion of the present review. This work was supported by grants from AIRC (5xMille 12162 to LR, IG-10727 and IG-14285 to LR, IG-17462 to MR; IG-15192 to CC) and from Cariplo Foundation (2015-0911 to VV), by awards from the Harry J. Lloyd Charitable Trust for human studies (MR and LR), by the European Union’s Horizon 2020 Research and Innovation Programme grant agreement No. 686089 (PRECIOUS), and by the Italian Ministry of Health grant 52/RF-2010-2312620.